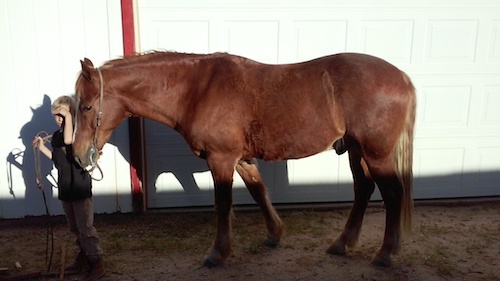 12 year old sorrel gelding, Q-horse/Belgian cross, 15 hands and 1100 pounds, stout built. WHAT I LIKE ABOUT JAKE. He walks out nice with no encouragement. Point him in a direction and he will go, uphill, downhill, rocky, it does not matter. We purchased Jake as a 2 year old from the Amish in Mt. Hope, Ohio. 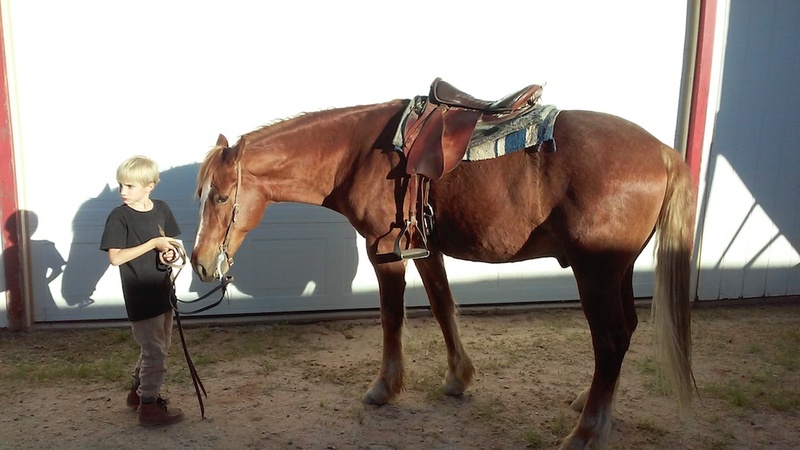 Basically you could say he has been saddled and ridden every day since he arrived in Tucson. As a testament to Vickie and Joel’s saddle fitting ability, this horse has no saddle marks, no bridle marks, and no blemishes at all and that is pretty amazing for a horse that has been saddled everyday for 10 years. Jake was used 90% of the time as a guide horse because he was easy to maneuver around to assist our guests. Jake is a fast walker and likes to cover ground. He does not spook or shy and has been exposed to mountain bikes and ATV’s. He has no bad habits, gets along well with other horses. He clips easy and has no issues with his feet. As a matter of fact we have only had shoes on him for one shoeing. Imagine 5-6 hours per day, on our trails, with no shoes. You’ll cover the cost of the horse in a couple years just on shoeing expenses. Jake would fit nicely with an intermediate rider who likes to do trails, a heavy person or hunter as he is stout built and low to the ground for easy mounting.